Add some personality to your golf awards presentation with these crystal figure trophies. 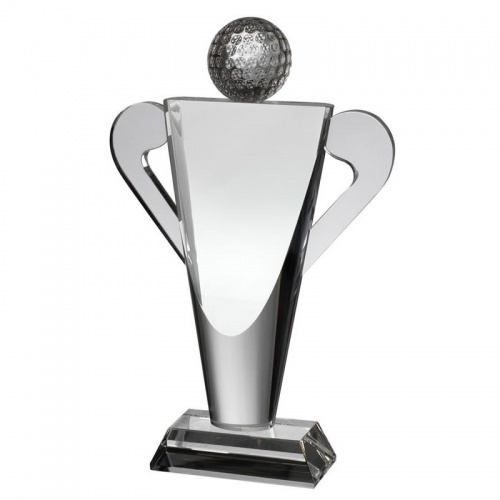 Finely crafted in clear glass, they feature a tapered column body topped with an optical crystal golf ball head and including two arms created by golf clubs. The awards stand on a bevelled glass base and are available in three size options. They can be engraved on both the body and/or base. Supplied complete with an attractive blue foam-lined presentation box.